Located in Billings, MT, Underriner Motors treats the needs of each individual customer with paramount concern. We know that you have high expectations, and as a car dealer and auto body shop, we enjoy the challenge of meeting and exceeding those standards each and every time. Allow us to demonstrate our commitment to excellence!We have excellent financing options for purchase and lease, a very experienced Service and Parts Department and a quality Body Shop. What sets us apart is the quality of work done by our very highly skilled employees. At our fully-equipped collision repair shop, we can handle all your auto body repair needs. We also operate closely with insurance companies to ensure that your vehicle returns to a like-new state quickly. The paint shop works tirelessly to match all colors and trims, yielding a factory-quality finish. From a mild fender bender to a more serious car crash, no one likes a car accident. Allow our trained professionals to complete your automobile restoration to manufacturer-specified standards. Underriner Motors Auto Body Shop has served the Billings area since 1944 at 640 North Broadway (next to the library). Underriner Volvo, Underriner Hyundai and Underriner Buick is located at 3671 Pierce Parkway which is your premier retailer of new and used vehicles. We have all makes and models of used vehicles from Jeep, Chevrolet, Subaru, GMC, and BMW. Our dedicated sales staff and top-trained technicians are here to make your auto shopping experience fun, easy and financially advantageous. Please utilize our various online resources and allow our excellent network of people to put you in your ideal car, truck or SUV today! Please visit any one of our other premier retailers of new and used vehicles. Our dedicated sales staff and top-trained technicians are here to make your auto shopping experience fun, easy and financially advantageous. Utilize our various online resources and allow our excellent network of people to put you in your ideal car, truck or SUV today! Underriner Motors is a family-owned and operated car dealership that has been serving the local Billings and Laurel communities since 1944. We have many customers throughout Montana, Wyoming, North Dakota and South Dakota and can ship anywhere in the USA. Our Honda dealership is one of only 3 LEED certified “Green” Honda dealerships in the US. 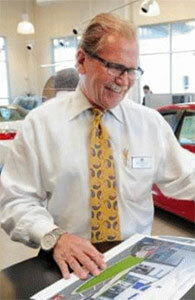 Our Hyundai, Buick, and Volvo dealership is also being built to exceed LEED Certification. Our Honda store stocks Honda Accord, Honda Civic, Honda Fit, Honda Crosstour, Honda Hybrids, Honda Insight, Honda CR-V, Honda Pilot, Honda Ridgeline, Honda Odyssey, Honda CR-Z and will stock the Honda Urban SUV as soon as it is released. Our Buick inventory comprises of Buick LaCrosse, Buick Regal, Buick Encore, Buick Encore and Buick Verano. Hyundai models stocked are Hyundai Accent, Hyundai Elantra, Hyundai Elantra GT, Hyundai Veloster, Hyundai Genesis, Hyundai Genesis Coupe, Hyundai Santa Fe, Hyundai Tucson, Hyundai SUVs. Our Volvo cars are C30, C70, S60, S80, XC60, XC70, XC90 and the new V60 wagon. 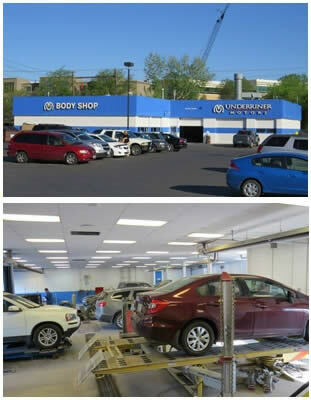 Our body shop caters to all models of car and truck as do our service depts. Our CEO / President, Bill Underriner, was 2012 Chairman of N.A.D.A (North American Dealer Association) and is very active within our local community with the Underriner Outreach Program.